Do you still read a paper book now? Some of you still do. But on account of the shortcomings of a real paper book such as its bulky appearance, people feel it inconvenient to carry. Furthermore, it's not convenient for people to do some editting on a paper book. And after the ebook application was developed on smart phone, an increasing number of people prefer to read ebook rather than read a real paper book in recent years. So what is ebook exactly? An ebook is a book in electronic format. It is downloaded to a cell phone, PC, Mac, laptop, PDA or any other kind of computer, and is read on the screen. It can have numbered pages, table of contents, pictures and graphics, exactly like a printed paper book. Compared with paper book, ebook has a lot of benefits and advantages. For example, you can download a variety of ebooks on your Samsung Galaxy cell phone or other devices instead of going to a bookstore to buy them. And when you need certain information, you can get it immediately by downloading an ebook. You can also read ebooks anywhere, on the bus, train, airplane and while standing in line. Ebooks are also more safely stored and carried from one place to another, than ordinary books. And they withstand time more than books as well. But here comes the question, what if you carelessly fell your cell phone on the ground and broke the screen? In this case, you can no longer have ac cess to the ebook. Don't be concerned, you will need a powerful sync manager to help you transfer the books between your Samsung cell phone and computer. Here is the software: MobiKin Samsung Book Transfer or Samsung Book Transfer for Mac. With it, you can transfer books from Samsung to PC or from computer to Samsung devices freely. What's more, this program also helps you export or import other files like contacts, apps, video, music, and photo with just a few clicks. And in addition to Samsung Galaxy, other series like Samsung Note, HTC, Motorola, Sony, Huawei and other android OS devices are all compatible to this great software. Now you can download a free trail version to have a try first and follow the procedures I'm about to show you in the next passages. Step 1. 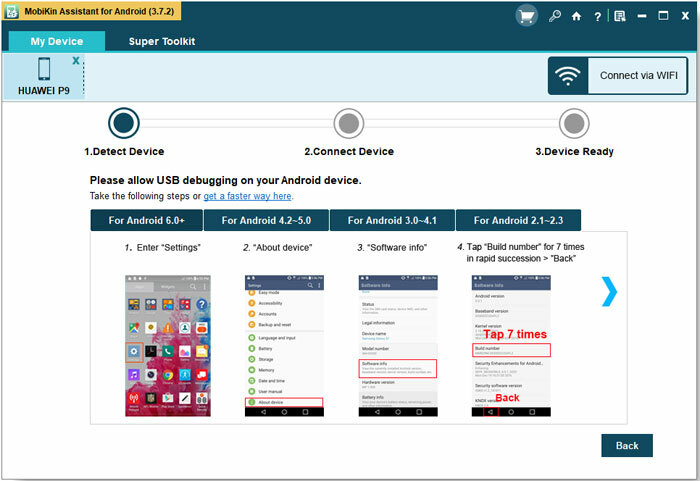 After downloading and installing the program, you can connect your Samsung Galaxy cell phone to the computer via USB cable. Then follow the steps to install the USB driver to your computer for the first time. After that, click "USB debugging opened" and "Next". It will begin to detect the device and start downloading and installing the USB driver to your computer. 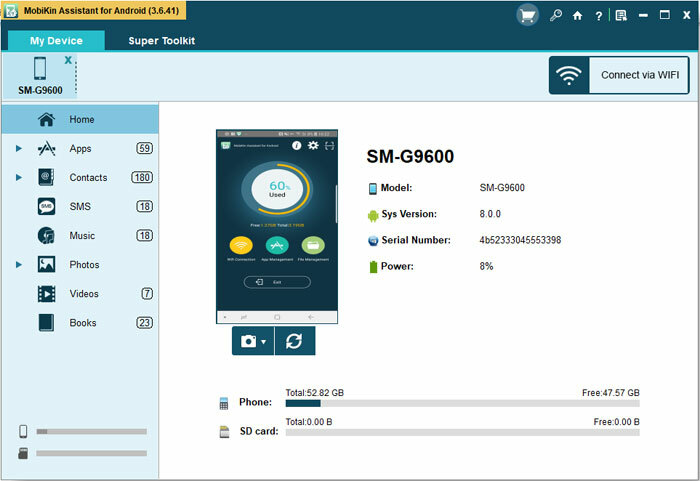 When it finished installing the USB driver to your PC successfully, it will recognize your Samsung Galaxy cell phone as the screenshot below shows. And you can see the data displayed on the top of the window apparently. Step 2. Choose the "Book" folder on top of the interface. Click the "All books" icon on the left column. All the specific information will appear on the right panel. Scan them by yourself and mark as you wish, then you can click "Export" to save them to your computer. You can also sync the books from PC to your Samsung cell phone clicking "Import". With some clicks, you will transfer books between your cell phone and computer freely. It's compatible with many Android devices such as Samsung Galaxy/Note, Sony Xperia, Motorola, HTC One, Huawei Honor and ZTE, etc. You may download the software that matches your computer system now.